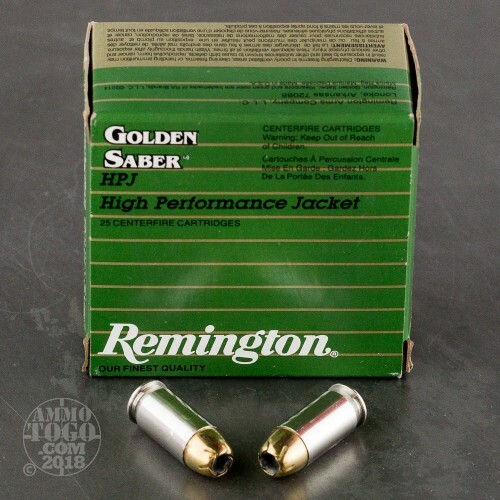 Remington Golden Saber ammo is a widely used self-defense load that uses a brass-jacketed hollow point bullet to provide strong levels of expansion and penetration. 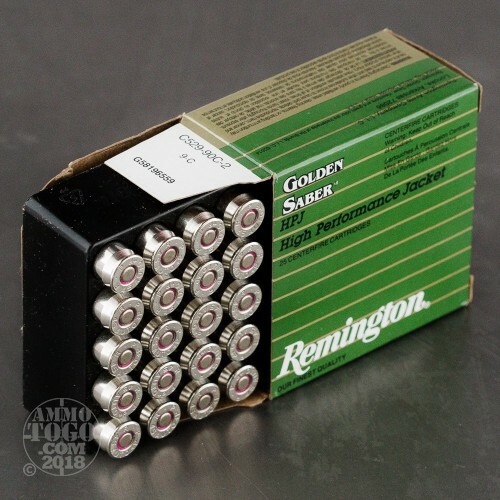 This .45 ACP load comes in a 500 round case ideal for realistic training. 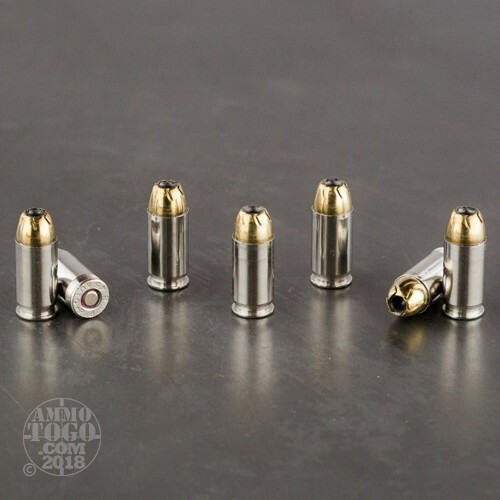 Each round fires a 185 grain jacketed hollow point bullet; this is a relatively light projectile moving at a high velocity to deliver more reliable mushrooming. This ammo is made in the USA and uses non-corrosive Boxer primers and nickel-plated brass cases. 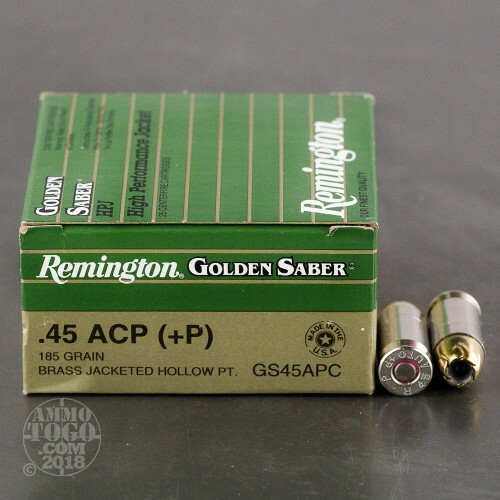 As a +P load, this ammo delivers increased power and recoil; it should not be used in older or subcompact firearms not rated for high pressure cartridges. 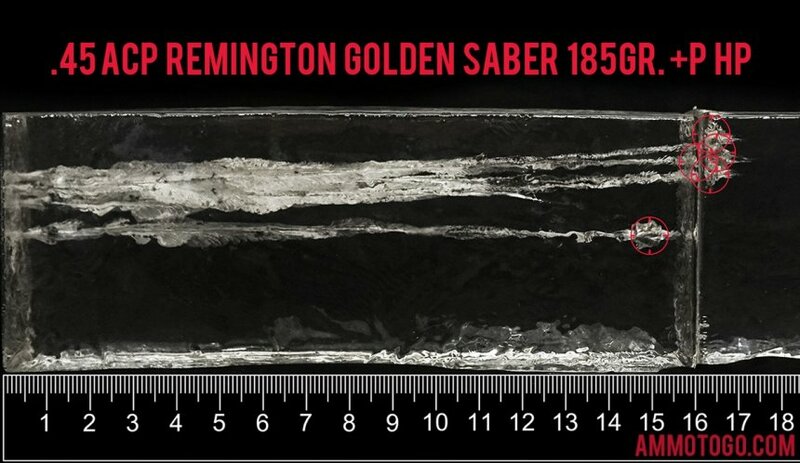 Penetration Depth Compared to 45 ACP (Auto) Tested 0" 10" 20" 30" MIN 8.3" MEDIAN 16.7" THIS AMMO 16.6" MAX 32"